Looking for a chromebook and not sure which chromebook is best? 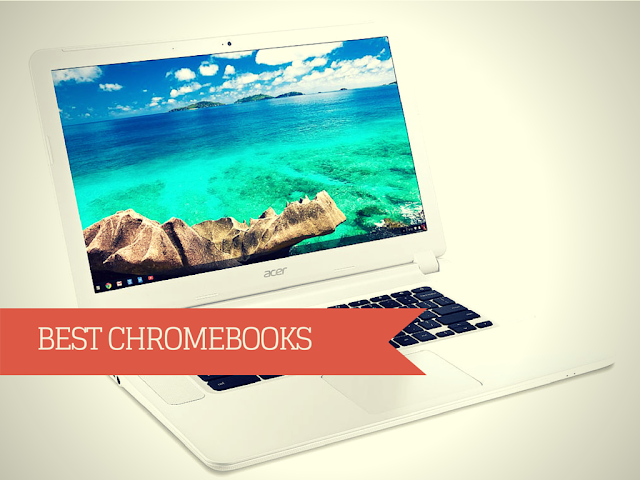 Checkout our exclusive best chromebook coverage on this page. Chromebooks are those budget laptops available in the market that are both brilliant and potent. The focus of Chromebooks has been to enable basic computing along with a full featured web browser, all being driven on the Chrome operating system of Google. Interestingly, both best Chromebook for Ubuntu and best Chromebook for Linux are available. Are you planning to buy a Chromebook and thinking which Chromebook is best? This article will review 8 of the best Chromebooks available in the market so that you can take a wise decision on buying the one that is most suitable for your requirement. Acer’s Chromebook 15 has come up with 15.6 inch display with budget friendly parts that we are accustomed to and selling at reasonable cost. As Chromebook are bigger, it does not mean it is more powerful. It has new fifth generation Intel Celeron processor that improves the performance. Bigger panel has more screen space which comes handy when you are watching movie on Netflix or operating in Google’s Docs. With Web apps like Polar, you can view the pictures larger on 15.6-inch LCD and still have the space for app’s tool panel. It has wide viewing angles and screen doesn’t invert if it is too low or high. But little brightness is lost when viewed to the sides but it is hardly noticed and you do not fight much glare. You can use Snapdeal discount coupons to get a cool discount on it. It’s fairly large chassis measures 15.1 inches wide and 9.7 inches deep and 1 inch thick. It weighs 5 pounds. All plastic casing has micro weave pattern that assists in keeping it some grip and does not look very generic. It needs to be wiped quite often or purchase it in black color. Keyboard is small and extra space is utilized for stereo speakers which sound good. If you intend using Chromebook for the entertainment, it is fine. But in case you were expecting spacious keyboard, it has the size seen on the smaller- screen Chromebooks. Touchpad is big and responsive doesn’t show signs of jumpiness. It performs well with the multitouch commands of Chrome. Attractive Flipkart coupons can help you get a cool discount on it. On the left side are ports for Full HDMI, standard USB, power input and headphone and mic jack. Right side has full-size SD card slot with capacity of 128 GB and USB port. Wireless communications include Bluetooth and dual-band. It has 720p HD Webcam and microphone over the screen. It has the largest storage capacity offered by Acer. This also has mSATA SSD that gives you the potential to swap I larger drive. The battery life is not what was earlier and can be replaced easily. Chromebook provided viewing for seven hours and four minutes and CouponMama.co.in offers the best deals and offers on it. It might touch 9 hours mark as claimed by Acer with less demanding use. Chromebook 15 and fifth –generation performed better than the older Chromebooks and as good as the new Core i-series CPUs. It was not far behind Core i3 Chromebook of Dell. Acer Chromebook 15” screen is a huge advantage as it helps you when you want to do work with a larger viewing or watching movies or videos. This is the new Google Chromebook and is one of the best Chromebook (2015). Google's best Chromebook (2015 release) supports a 12.85 inches touchscreen, which is 2560x1700 3:2 LCD screen. The processor of this Chromebook is 5th Intel Core i5-5200U with 8GB DDR3 RAM and 32GB SSD hard disk. It is light weight too, weighing just 3.3lbs and it can also be connected through WiFi. You will get 1TB of cloud storage from Google Drive for three years when buying this Chromebook. The 13 inch HD screen Asus Chromebook comes with Intel Dual-Core 2.16 GHz Processor. It has Gigabit Dual-Band 802.11AC ultra-fast Wi-Fi that offers uninterrupted connectivity. There are three variants available for this Chromebook - 16GB Storage and 2GB RAM, 16GB Storage and 4GB RAM and the third one is 32GB Storage and 4GB RAM. The Asus Chromebook is available in 4 different colors as well. This is regarded as one of the best-selling Chromebooks too. It gives 10 hours of incredible battery life. This is the smallest screen Chromebook available in the market, which has 11.6 inches screen with Intel HD graphics and comes with an Intel Celeron 2.16 GHz processor. As far as Chromebook pixel density is concerned, this Chromebook offers a great density of 1366 x 768 pixels. It supports a 2 GB DDR3L SDRAM with 16 GB hard disk. The lithium metal battery of the Chromebook has 9 hours of life and it weighs about 2.6 pounds. However, the Chromebook does not have any optical drive. Lenovo IdeaPad N20P Chromebook comes with a cool 11.6 inches integrated screen. It has Intel Celeron N2830 dual core processor and has 2 GB DDR3 RAM with 16 GB SSD hard drive. The Google Chrome OS runs in the system, offering 8 hours of battery life. The sleek design of the laptop and stand with good features make this Chromebook one of the best-selling Chromebooks in the segment. You can look out for best Chromebook for Ubuntu and best Chromebook for Linux but they are still lag against Chromebooks that runs on Google Chrome OS. The Dell Chromebook 11 comes with Intel Celeron 2955U 1.4 GHz dual core processor. This Chromebook is a 64-bit computing system with 4 GB DDR3L SDRAM and 16 GB SSD hard disk. Moreover, this machine has 1366 x 768 resolution, which generates HD quality picture. The Chromebook incorporates Intel HD graphics technology with an integrated camera that can record HD quality video as well. You can connect wirelessly via Bluetooth 4.0 and Wireless 1901. The battery of the Chromebook can run up to 10 hours. lasts up to 10 hours. It is a light weight Chromebook weighing 2.5lbs, but it does not have an optical drive. The Acer Chromebook 11 comes with dual core Intel Celeron N2830 2.16 GHz processor, 2 GB DDR3L SDRAM and 16 GB internal hard disk. The 11.6 inches Active Matrix TFT color LCD screen offers 1366x768 pixels and is embedded with Intel HD Graphics. The HD screen is it's USP, its anti-glare with widescreen LED-backlit display. The Chromebook runs on Google Chrome operating system and the lithium ion battery last up to 8.5 hours. It has Bluetooth 4.0 for wireless connectivity and a built-in HD webcam. Chromebooks and Google’s Chrome OS are certainly the popular alternatives to Mac computers and Windows as these are inexpensive, comparatively secure and what you can do within confines of the browser-based environment keeps growing. The screen sizes have been growing which are normally of 13.3 inches or less. Which chromebook is best? Let us know your thoughts in comments.